At Westoe Travel, we are committed to safeguarding the privacy of our users. We take your privacy very seriously and it is important to us that you can use and enjoy our website without having to compromise your privacy in any way. Westoe Travel is registered under the Data Protection Act 1998. The purpose of this policy is to explain how Westoe Travel will use and process your personal data. By using our website generally you agree to this use. We may ask you to provide information over the telephone or on our website. If you contact us we may keep a copy of that correspondence . Normally we would not retain this for longer than eighteen months. We use your information to make a booking, improve our marketing and for purposes of administering our business activities. We will only show the information you provide to such of our employees as need to see it. Cookies are small pieces of data that are stored on a users hard drive. Cookies can remember what information a user accesses on one web page to simplify subsequent transactions or to short cut access to the site. In order to process your order we will share your information with the tour operator, airline, hotel, car rental agency, or other involved third party (Third Party Supplier). We will provide only the personally identifiable information necessary to ensure the successful fulfilment of your travel arrangements. Your information may be passed to countries outside of the UK and European Economic Area (EEA) in order to process and arrange for the products and services you have requested. When you book you agree that we may use and transfer your personal information in this manner. 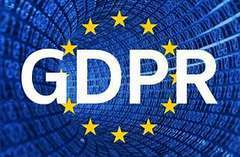 Under the Data Protection Act 1998 we can only transfer your personal information outside the EEA to countries with adequate protection. Where you provide us with sensitive information such as details of any illnesses, disabilities or religious requirements, we will need your express consent to this information being passed on to the relevant Third Party Supplier. If we cannot pass this information on to the Third Party Supplier, it will not be possible to continue with your booking. We do not sell, trade, give away or rent your personal information to third parties. The internet is not a secure medium however Westoe Travel use industry standard safeguards to protect the confidentiality of your personal data. For rail tickets only your name is entered into the National Reservation System. We do not keep a copy or record your contact details. Your name will appear on your ticket and also on the train companies seat reservation document or display on the train. For railcards your name and a contact number are recorded in the National Reservation System. This is in case you lose your railcard and a duplicate can be issued by the Train Station. We do not retain any personal details for railcards. If you have provided your email address we may send you special offers. Please advise if you do not wish to receive these. We do not send any emails to anyone who has not provided us with their email address.